And it could, after all, make us a better city. Not long ago, I found myself walking in the rain on North Williams, a street that should carry a trigger warning for nostalgia-prone Portlanders, because it’s nothing like it was five years—five minutes?—ago. Williams presents a construction panorama straight out of a kids’ picture book on heavy equipment, as vacant lots (once bemoaned) become multistory, mixed-use buildings (currently bemoaned). It all causes Portlanders—inclined, as ever, to prefer weathered brick and just-so bungalows—to ask What is to be done? Our future, the modest theme of this issue of Portland Monthly, probably contains many North Williamses. Those who specialize in such things anticipate vast population leaps. A recent forecast predicted 94,000 new apartment units. Demand definitely exists, as our annual real estate stats show: median home prices shot up almost 12 percent in one year. There’s no right way to feel about this growth, and the changes it portends. 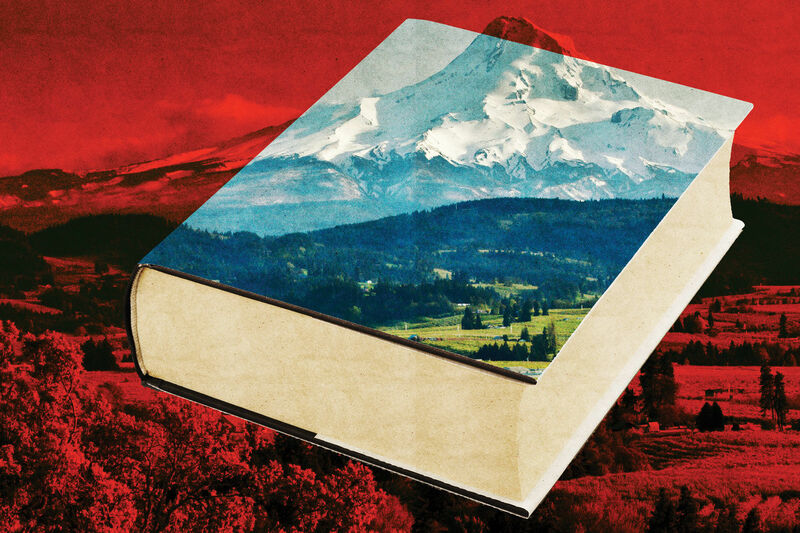 (Stories scattered through this issue examine transformations from our restaurants to the art scene to many Portlanders’ backyards.) 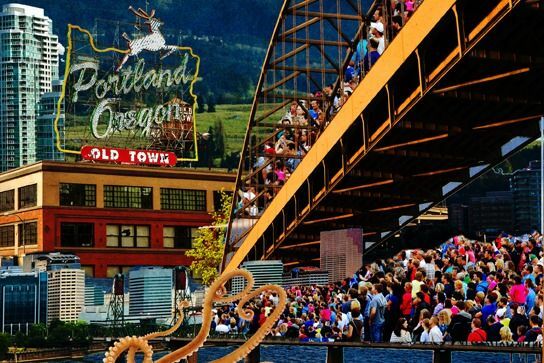 We can certainly mourn a time—maybe 1994, maybe 2004, but anyway, a time—when Portland was quirky yet urbane, still relatively unknown and cheap. As I walked, I decided it’s more fun to consider what a changing city might gain. Look at our schools and you will see a place too often portrayed as monochromatic (even though that was never true) becoming more diverse. 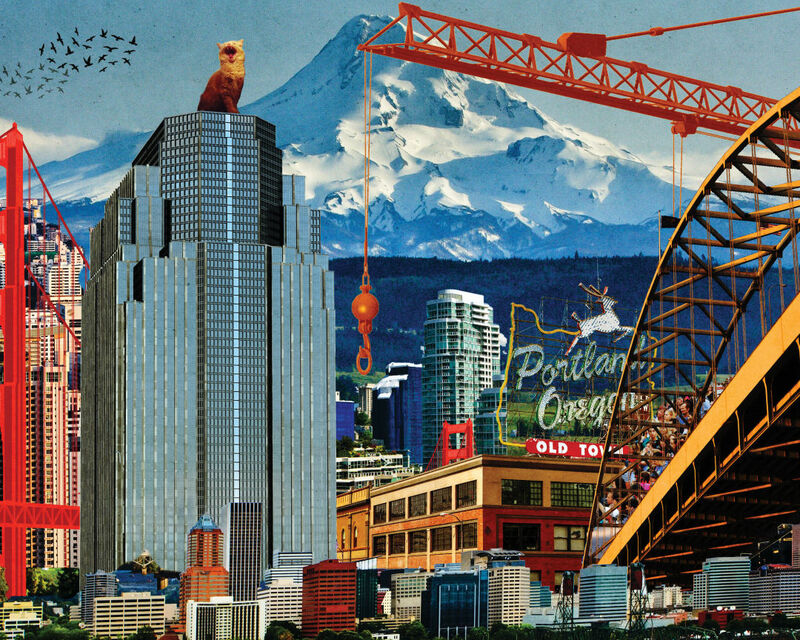 Pell-mell development makes affordability a central issue of local politics, at a moment—maybe the last—when we could steer Portland away from San Francisco–style hypercost. If desirability, diversity, and the will to stay accessible converge, we could do something amazing here. 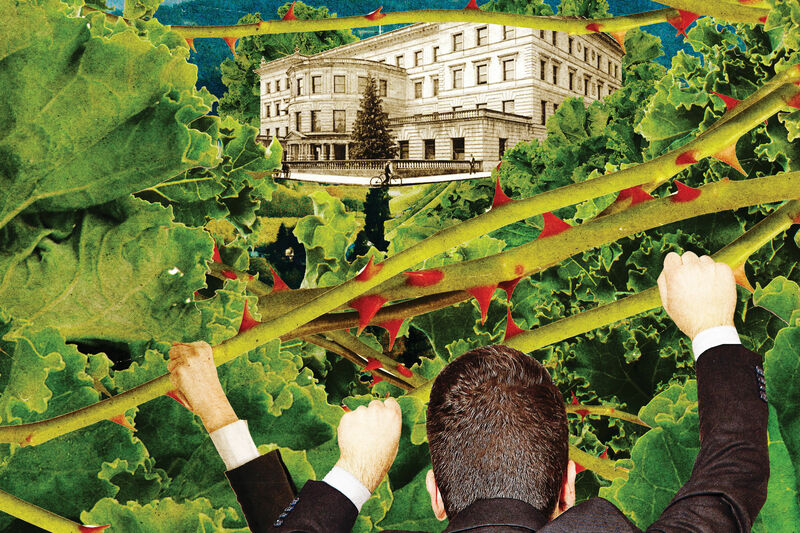 Our political culture could become as dedicated to social equity as it has long been to sustainability. The arts scene could go from pretty-good-for-a-midsize-American-city to world class. There could be more kimchi. Then, as I reached Dawson Park, I discovered about 50 members of some punk-bicyclist subculture, gathered for a rally, one in a tricornered hat, one atop a miniature pony. Behold: that strange Portlandian thing. We’re not going back to a smaller, cozier, whiter, less-known place. But meanwhile, the spark of strangeness that got us here should, indeed, be treasured. Great cities revel in change and keep their essential soul. Let’s do that.